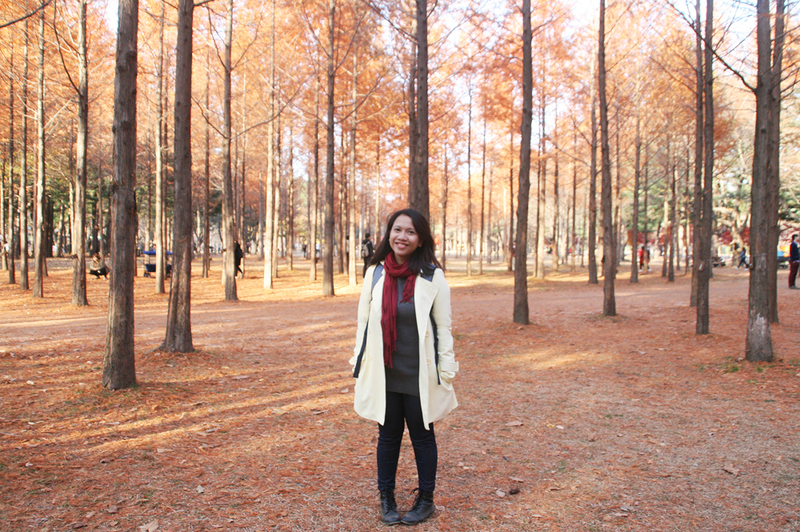 Much has been said and written about Nami Island. Yet, it’s unspoken beauty and charm seem underrated. 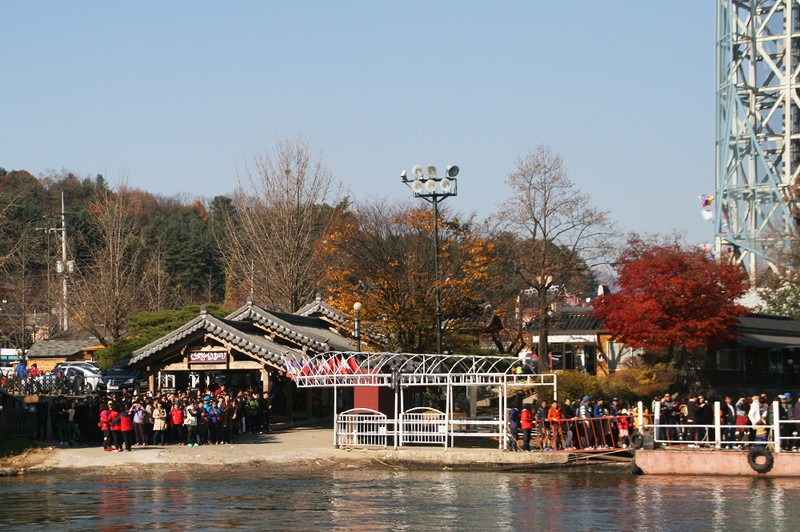 Made popular by the Korean drama Winter Sonata, it’s the typical tourist trap, visited by thousands and thousands of foreign and local visitors alike. Even on weekdays, the island welcomes hordes of tourists, who occupy every inch and corner of the lone republic. 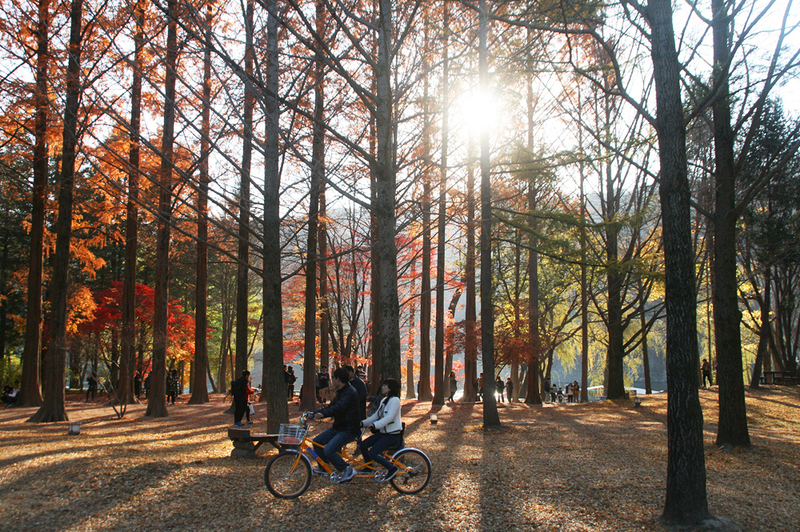 When you think of traveling to South Korea, Nami Island always seems to top the list of must places to visit. From the moment we arrived at the subway station nearest the island to the line that welcomed us before boarding the ferry, we knew that we’d be faced with tourists no matter where we look that day. But do I regret it? Not even close. 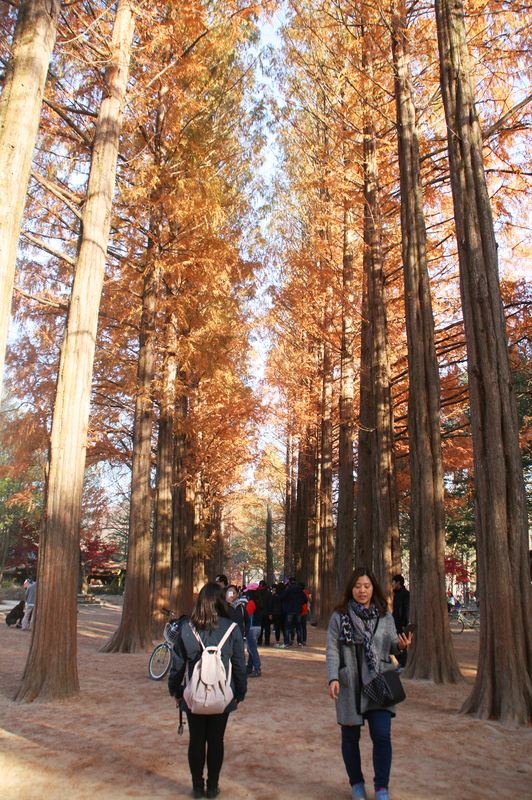 Pardon me for joining the bandwagon, but Nami Island was seriously beautiful in its golden and red hues during fall. 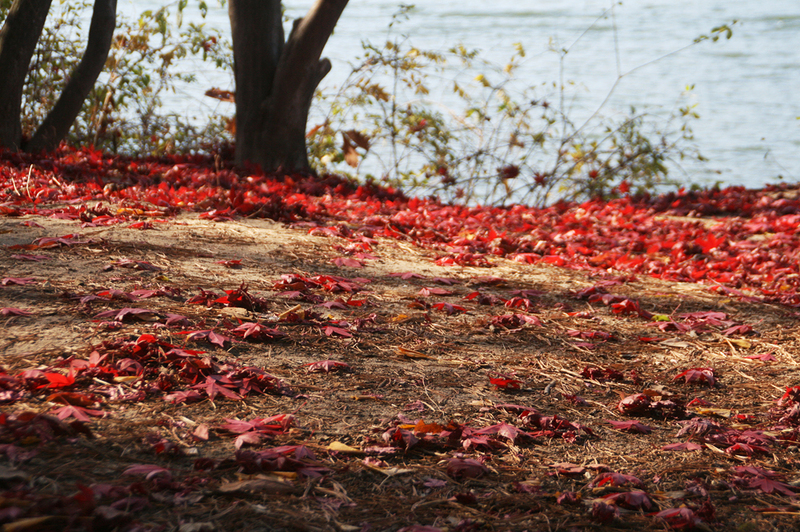 I have no idea how it looks in other seasons, but autumn in Nami Island almost made me want to live there forever. I hadn’t even left yet, but I already wanted to go back in spring, winter and summer. 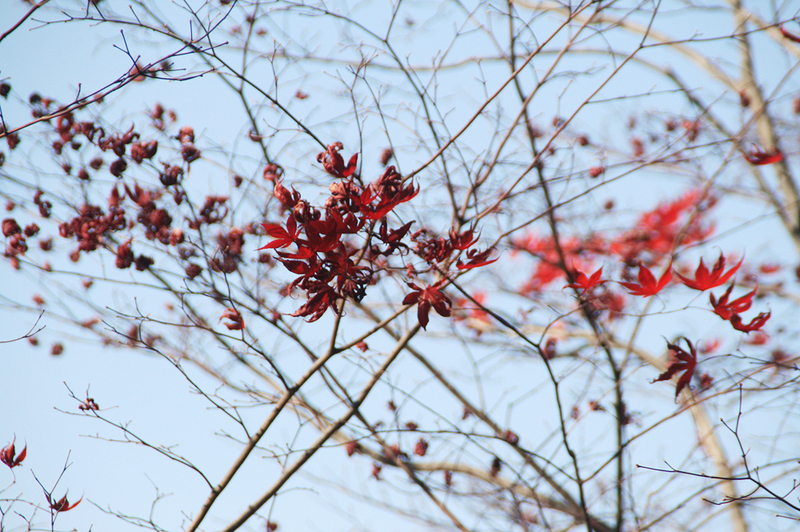 It looked so magical in autumn that I couldn’t help wonder how it would look during other seasons. 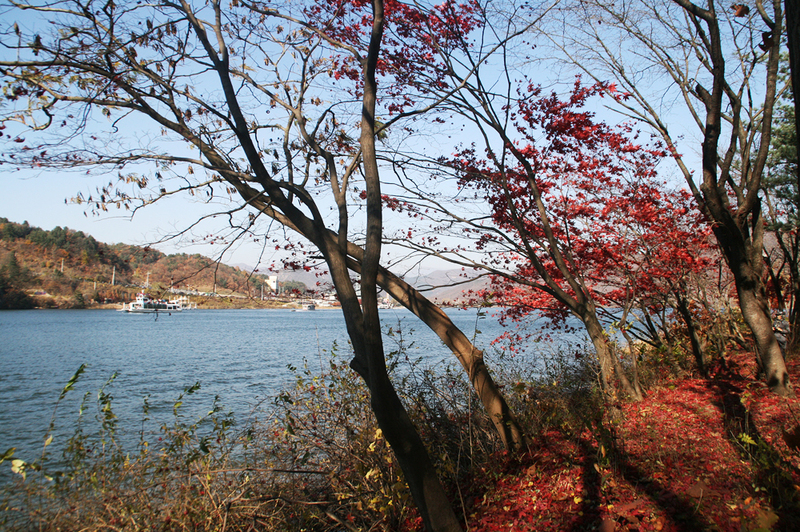 I firmly believe that Namiseom Island is one of the best places to visit when you want to see gorgeous autumn foliage. 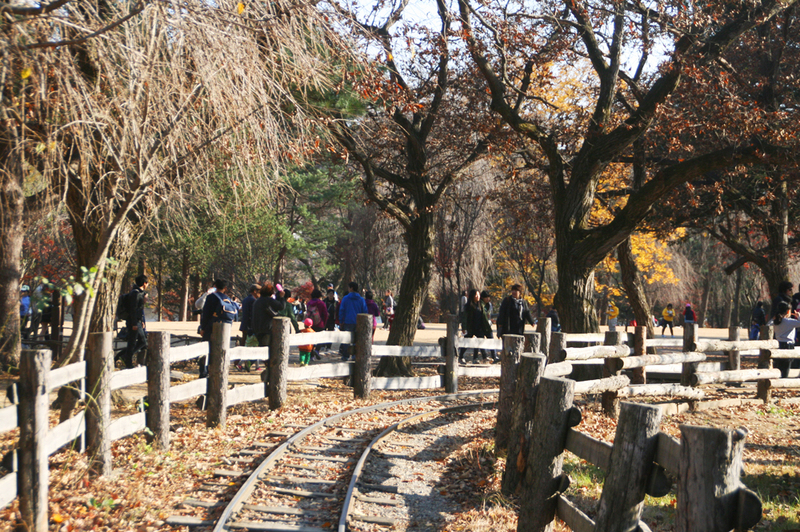 The trip to Nami Island via subway and bus took more than two hours. We made two subway line transfers and rode a bus just to get there. Yet, it was all worth it. We had to squeeze our way through thick crowds just to reach the island where Yonsama fell in love with Choi JiWoo and vice-versa. The Thai romantic comedy movie, Hello Stranger, only strengthened my desire to visit it. It’s no secret that I tend to visit the shooting locations of the movies and dramas I have watched. 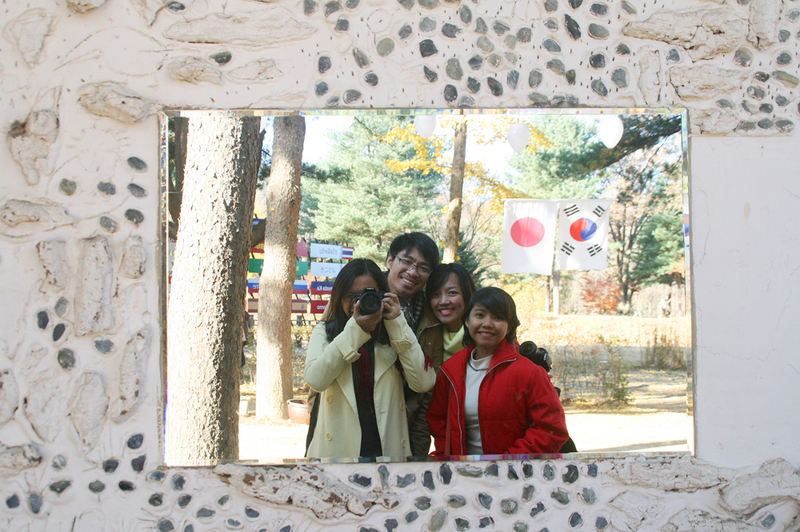 Of course, Nami Island was on the list. 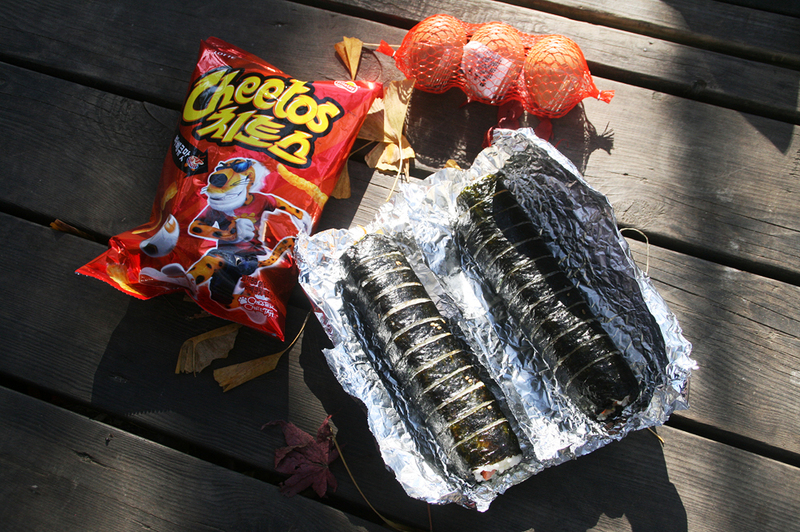 Knowing that there will only be pricey restaurants in the island, we had a packed lunch of kimbap rolls, boiled eggs, and bags of chips. 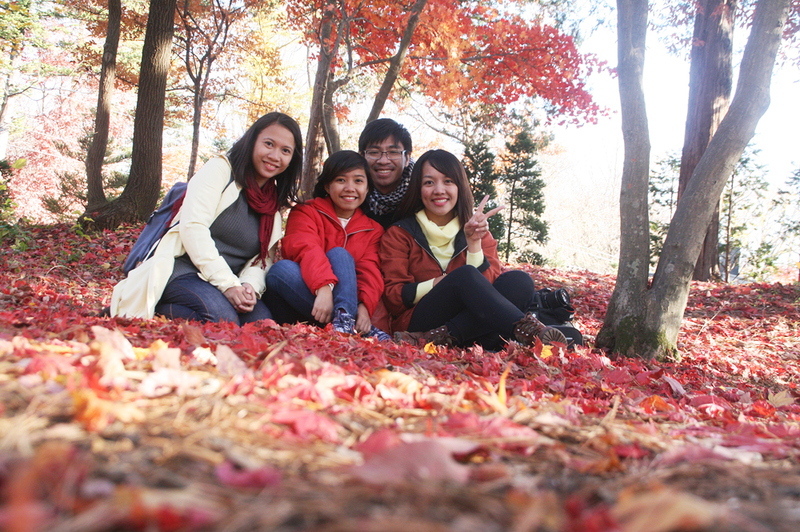 Even in the face of beautiful landscapes and golden pathways, we were cheapskates down to the core. We were simply glad that our humble lunch was enough to sustain us for the entire day. We arrived just around lunch time so we looked for a perfect dining spot under the canopy of maple trees. We were joined by squirrels that frightened us, because not one of us are animal lovers. The Koreans were undisturbed by our little friend, but we spent quite a good time trying to run away from it. Obviously, we spent half of our time taking photos. We surprisingly found vacant spots untouched by tourists! The island was large enough to accommodate everyone and to even offer a place of solace for those looking for it. Being camwhores, our main goal was to get awesome photos in the best spots. 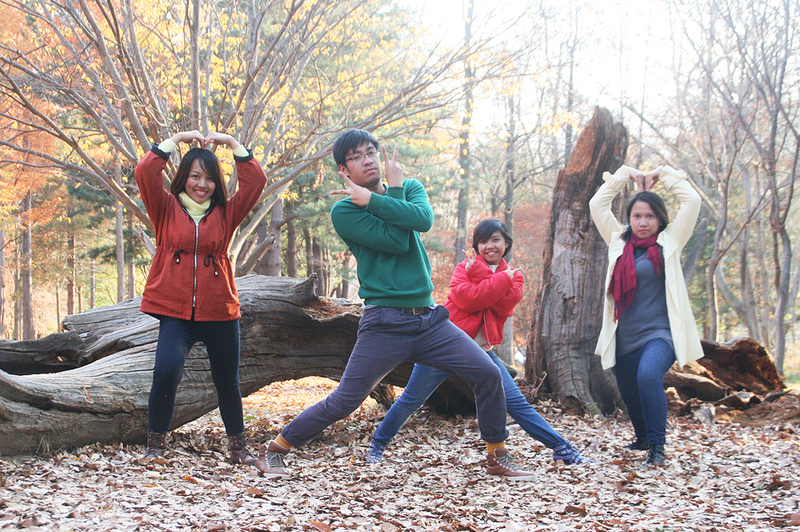 Good thing Nami Island was photogenic in every angle that looking for the perfect spots came easy. We’re also very cute, so there’s that. 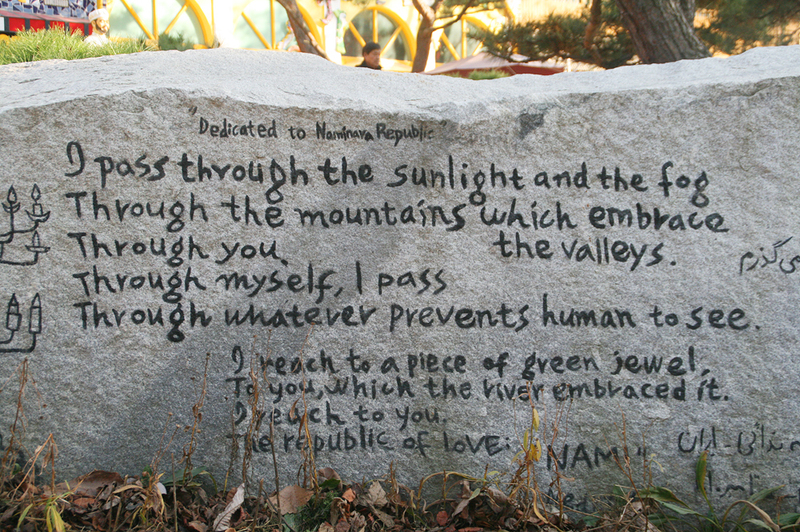 Ideally, Namiseom Island is the place to visit with your partner. But going with friends doesn’t seem like a bad idea at all. I’m glad I went with mine, because I’m pretty sure that they’re one of the few people who’d actually understand the hype of visiting the republic. They’re the one of the few who’d understand the crazy. Besides, how else would these epic photos exist without my silly friends? 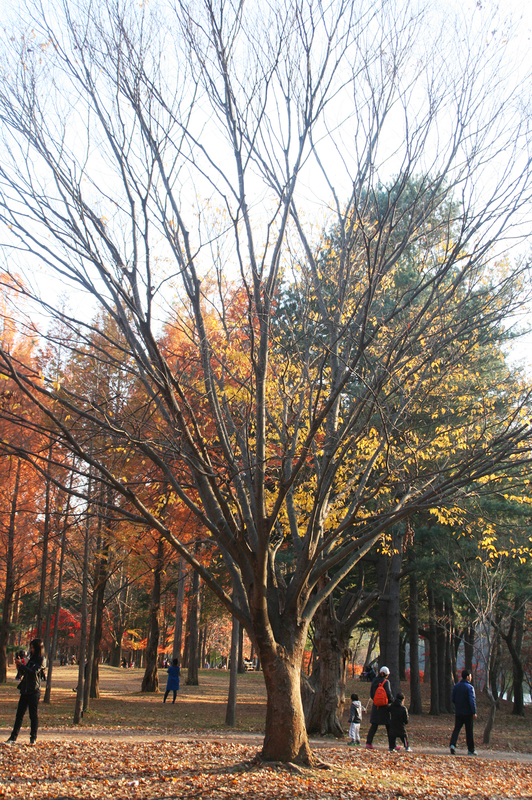 I hope the photos will suffice, because I can write a million blog entries about it and it still wouldn’t be to describe the beauty of Nami Island. 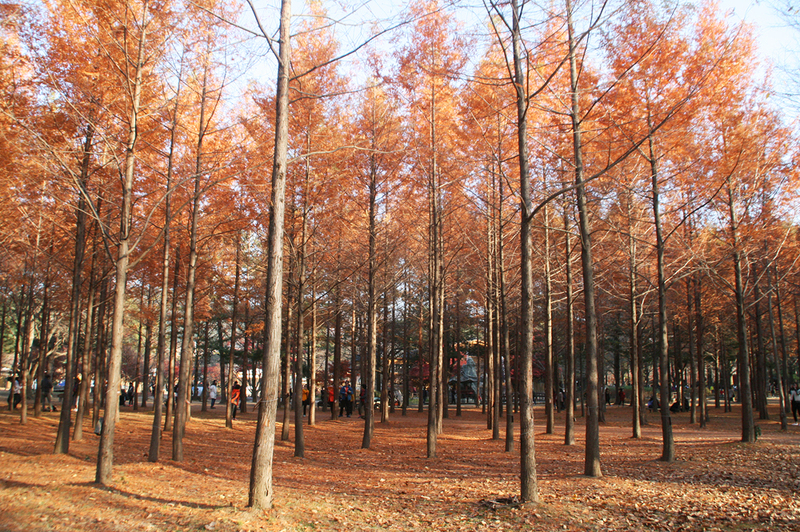 I can only hope that I could go back to South Korea and see all of this again. 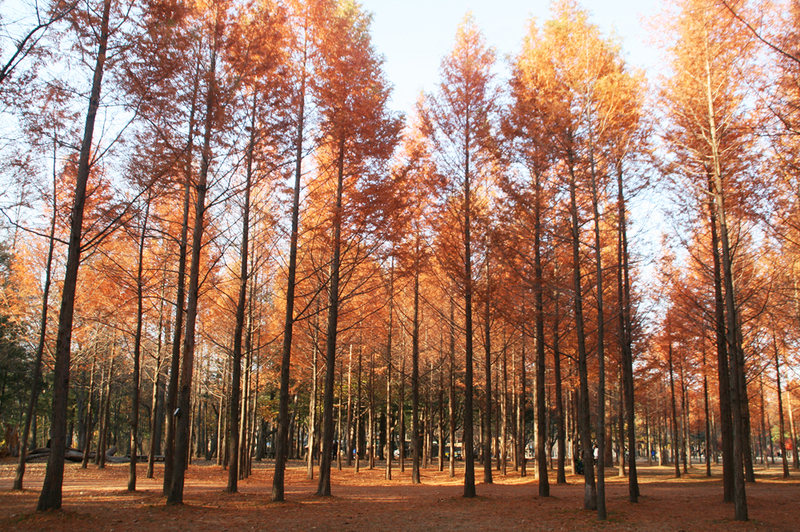 Next time, I’ll make sure to visit Seoraksan, the mountain known for its autumn foliage. 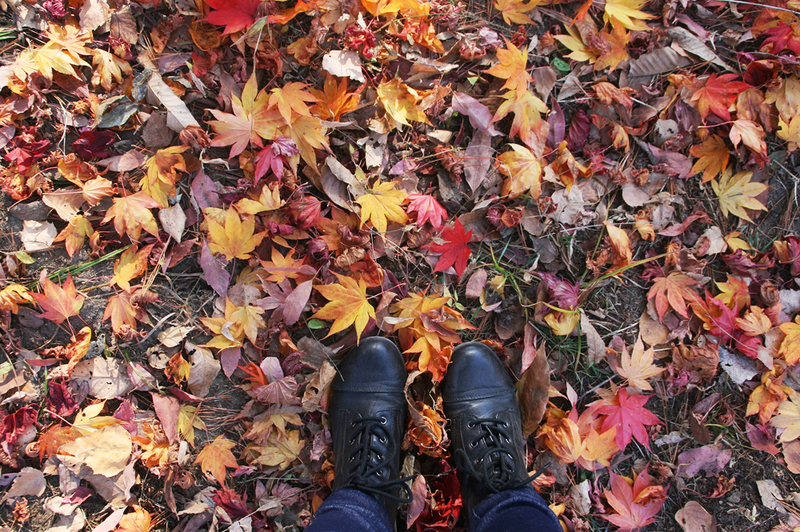 It’s fall in Korea now, and I’d give anything to be back in my beloved Seoul. I can only wish to hop on a plane this instant, but I can only dream. * As we only tried the subway-bus route, it’s the only direction I will share on this page. Ride the subway Line 2 and drop off at Wangshimni Station. 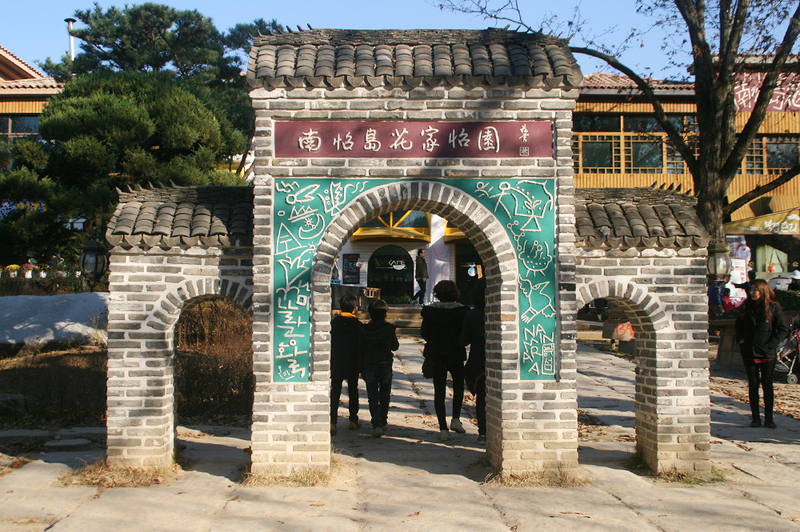 From Wangshimni Station, make a transfer to the Jungang Line then get down at Sangbong Station. 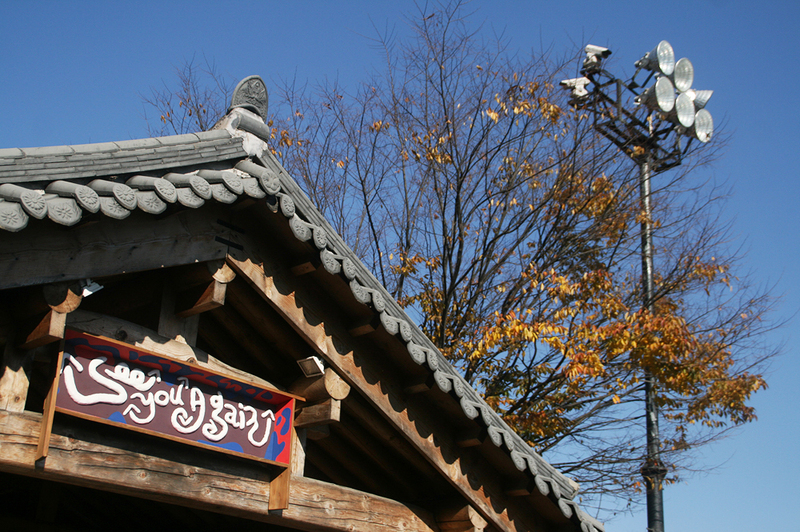 Transfer to Gyeongchun Line and drop off at the final subway stop at Gapyeong Station. In summary Wangshimni Station (Line 2) > Sangbong Station (Jungang Line) > Gapyeong Station (Gyeongchun Line). 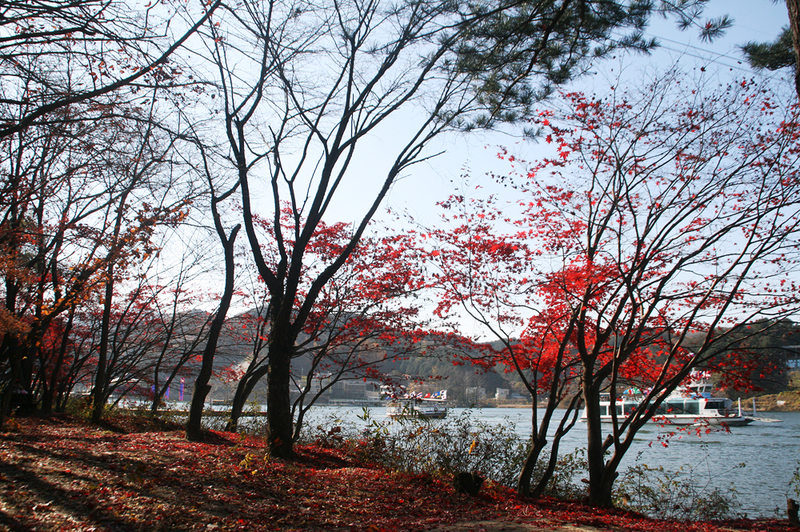 Exit the subway station and look for the bus stop that will take you to Nami Island. It’s pretty easy to find because it’s where 90% of crowd head to. You can also take the taxi from there. Bring your passport because it will be necessary when making the purchase for the ferry tickets. There are different rates for local and foreign tourists. It’s a long trip so make sure to bring snacks with you. Come early because the line at the ferry station can be crazy long! 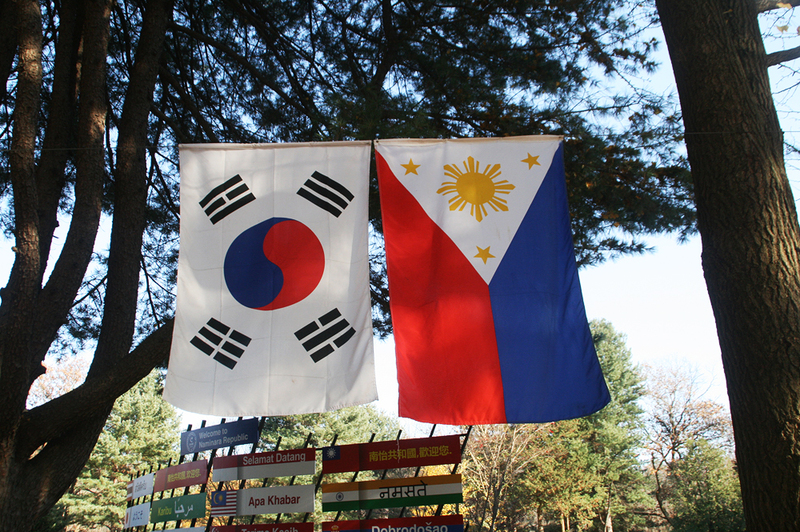 You also have the option of riding the zipline to reach Nami Island. It was too cold in autumn for me to try ziplining my way to the island. 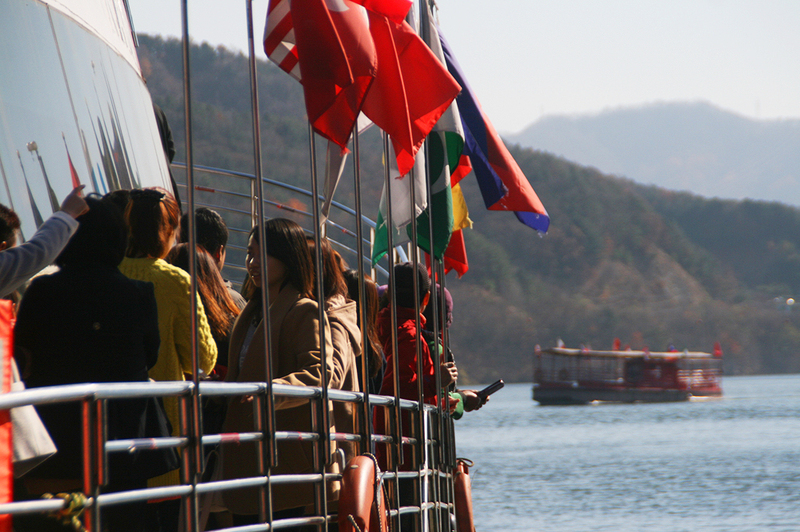 Check Visit Korea for more detailed information on admission rates and ferry schedule. ANNNGGG GAAANDAAAAAA… I wanna go back! Pwede ba? Pwede bang bumalik na tayo?? Beautiful pictures! 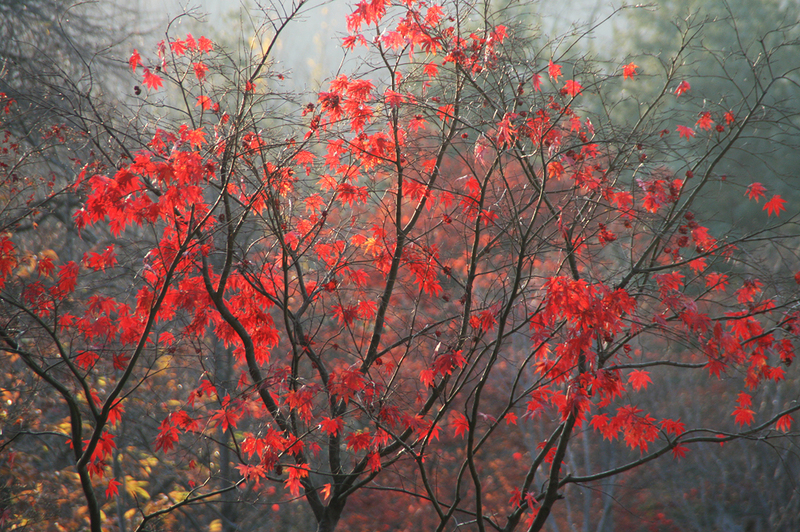 Another one here hoping that autumn would start late this year. I like your posts about your SK trip. 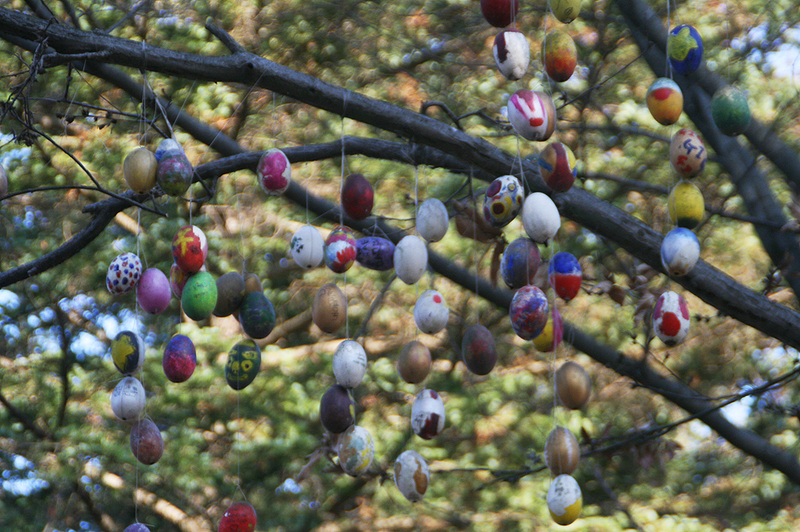 Pretty pictures and very useful information! 🙂 Followed you on twitter, if you don’t mind. Hi Vienna! Thank you so much. I try to provide as much useful information as I can. Kind of a way of paying back to a country that has given me so much joy! 🙂 Have an awesome SK trip! Omg! Your comments really make me so happy! :) Going back soon seems impossible, but I’m really hoping to visit again next year. 😀 Thank you so much for reading my posts. I hope you’ll have an awesome trip, too! Thank you, Sam! I’m glad that you find my posts helpful. Enjoy your trip! Wooooow! Beautiful! Im going in a few days! 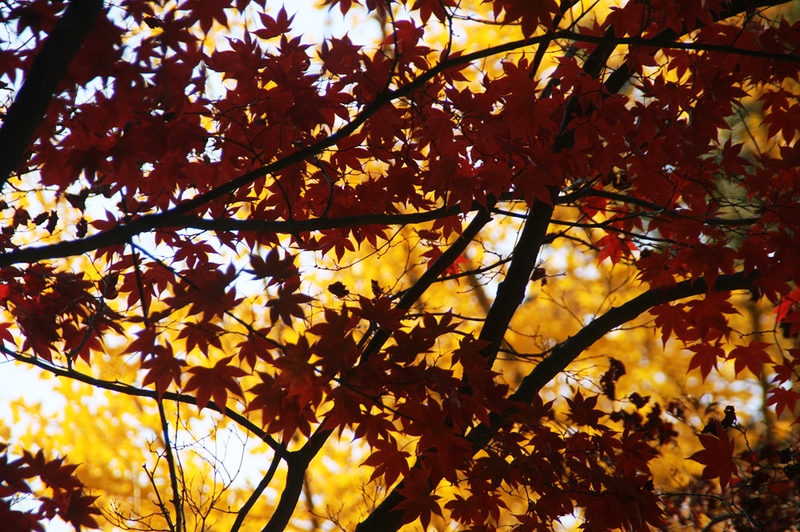 I hope i can still catch the fall foliage! 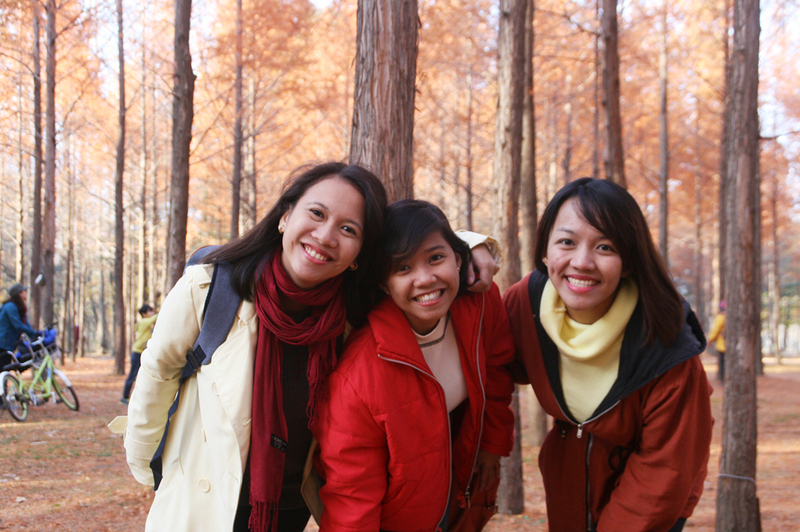 Coming from a tropical country, we really had to wrap ourselves up in the warmest of clothes. I think we wore around 4 layers of clothing. Hahaha. I think your trip is almost winter already! So I guess thick clothes, and a parka! And layer a lot! 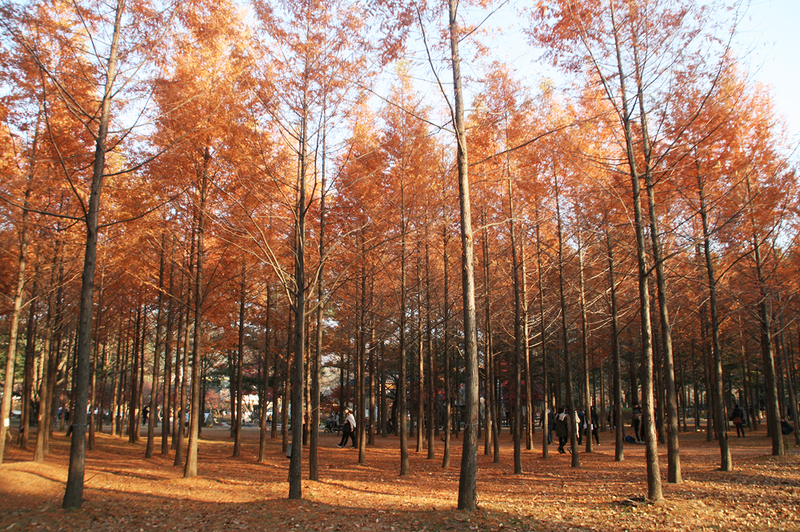 I am now at seoul, is it too early to see the beautiful autumn leaves at nami island? Hello! Based on the photos in Instagram, it still seems very much like summer. Still pretty, though! Hi! Been using your blog as a research material for my upcoming trip to Busan and Seoul. Really great work you’ve done here! Just a question. 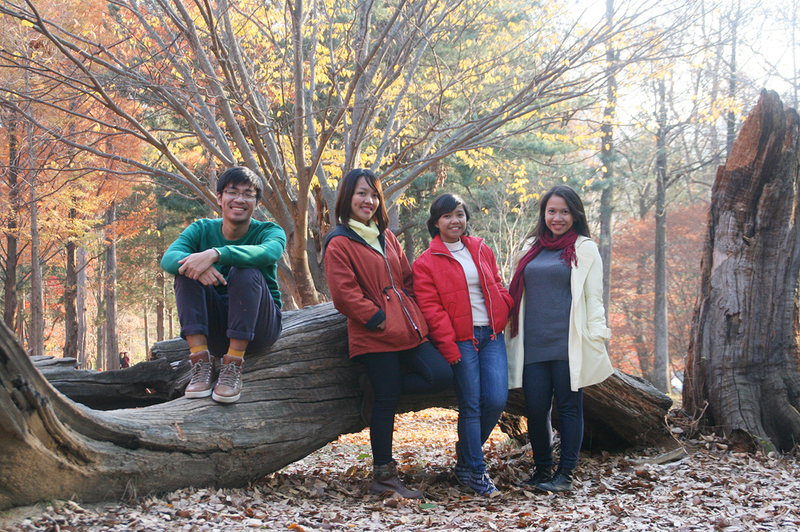 How early did you need to leave to come to Nami Island? We’re planning to go to Nami Island, Petit France and Morning Clam Arboretum, and hopefully we could fit Gangchon railpark all in 1 day. Hi, Jane! 🙂 I just want to know how did you leave from Nami Island? And what time?